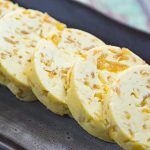 Compound Butters are a great way to enhance the flavor in dishes, and add extra fat into your diet. Our Caramelized Onion Flavored Compound Butter is delicious atop a grilled steak. Place the oil into a non-stick frying pan and place over high heat. When the oil is hot and shimmering, add the onion and sauté. Stirring continually. When the onions have softened and are lightly browned add the salt and erythritol. Continue to cook until browned and sticky. Remove from the heat and set aside to cool. Add the cooled onions to your food processor and blend on high for 1 minute. Add the softened butter and blend on medium until combined. Adjust seasoning and blend until combined.